They were staging a protest against the Narendra Modi-led government at the Centre over the Citizenship (Amendment) Bill, 2016. 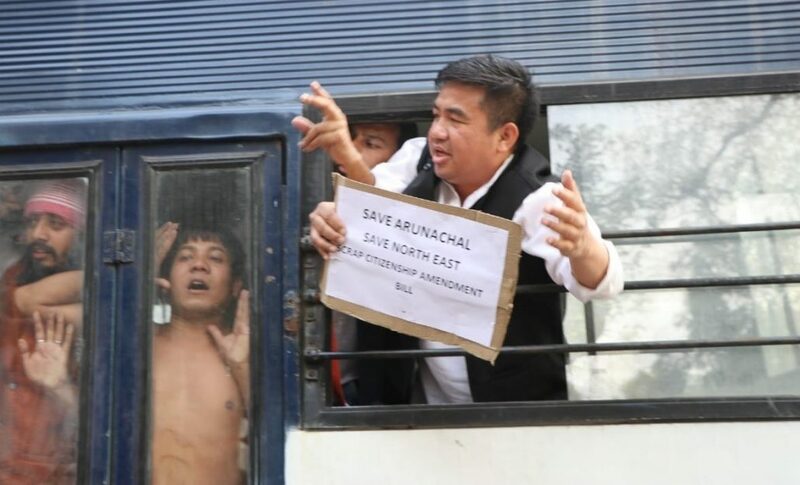 Arunachal Pradesh Youth Congress (APYC) president Geli Ete and several other activists of the North East Youth Congress (NEYC) were reportedly detained by the police on Thursday at the national capital. Shouting slogans against Union Minister of State for Home, Kiren Rijiju and chief ministers of Assam and Meghalaya, the activists had earlier taken out a protest rally and marched towards the residence of Union Home Minister Rajnath Singh at Akbar Road. “The police detained us and took us to the Mandir Marg police station. We were set free after 7 hours,” Ete said. The government of India should know and understand that the Northeast is not a dumping ground of illegal migrants. We will never allow such Bill to be implemented in the region, Ete said.